In 2018, Logset Oy’s turnover grew to a record level of 40.128 million euros (2017: 30.922 million euros) and the operating profit to 1.671 million euros (2017: 0.935 million euros). During the past year, the demand for Logset products remained high in Europe. The strongest growth, however, came from the Russian and South American markets. The demand for harvester heads exceeded all expectations, and the interest towards the hybrid harvester continued to grow. Forwarders remained the foundation of the sales. In 2018, Logset launched the first service products that increased the service turnover. At the end of 2018, the value of the order book reached a record 19.8 million euros (2017: 7.3 million euros). In 2018, Logset not only focused on growth, but also on developing its operational activity. Purchasing was streamlined, which lowered the share of material costs of total turnover compared to the previous financial year. The stock turnover rate of materials, spare parts and second-hand machines was improved significantly, and the stock value in euro decreased from the previous year, despite the strong growth of financial turnover. A write-down was made in the material stock, and the stock value of second-hand machines was adjusted to correspond to a fair market price with a new valuation method. Warranty costs and campaign overall costs were reduced due to better quality control in the production, and improved quality of the products. The share of direct labour costs of the total turnover developed in an unfavourable way, even though the number of sick leaves and occupational accidents was diminished. The whole forest machine industry suffered from poor availability of components, and it also affected Logset. Despite the strong growth and problems with parts availability, the company managed to deliver the machines within a reasonable timetable. In 2018, Logset product development focused on the new Stage 5 products that meet the tightened emission regulations, the Smooth Ride cabin suspension, on improving the quality, and on developing new products to be launched in 2019. At the end of 2018, Logset established a subsidiary named Logset Inc. in Canada. The new office will offer sales and technical support to Logset dealers and customers based in North and South America. In 2018, Logset’s credit rating was raised to class A. “Logset had a fantastic year. We advanced as planned in nearly all areas, and the results are plain to see. Thanks to the enhanced operational activity, a record order intake, and the continued high demand at the beginning of this year, the company is in a great shape for 2019,” said managing director Jussi Malmi. Actions to improve financial and operational performance will continue in 2019. In addition, the capacity of the factory will be increased. 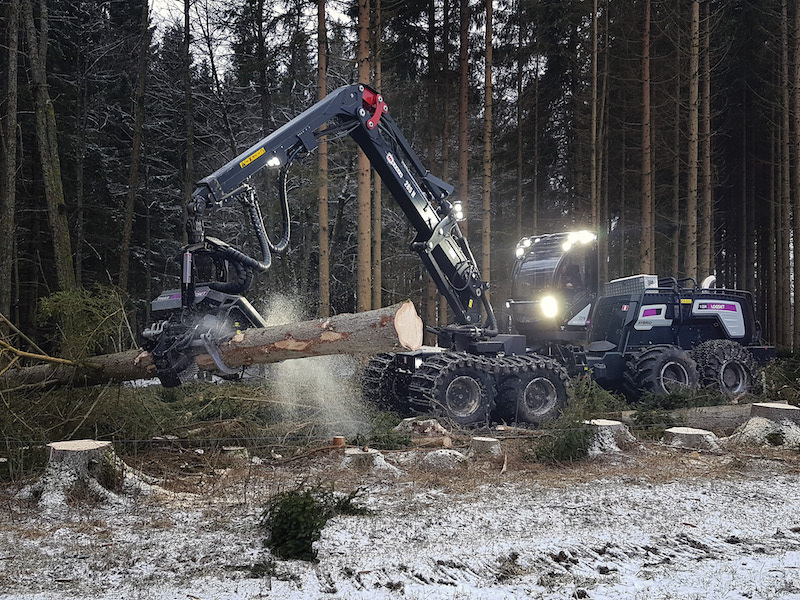 The new products and service solutions to be launched in 2019 are expected to further strengthen Logset’s market position.